Agisting/Boarding will be at the rate of $4.50 per day, and includes worming, a custom grain mix that has vitamins and minerals added, and toe nail trimming. Invest In Yourself...Invest In Your Future...Invest in Alpacas! We have added a cabin to the property that houses our ranch store. 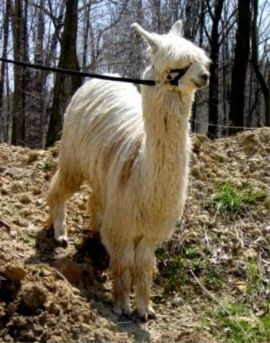 We have alpaca shawls, sweaters, gloves, glittens, hats, throws, yarn and raw fleece.